It is the data provided at 8:00 p.m., in other words, it is the final information. Zelensky got 30,9% and Poroshenko received 18,8%. 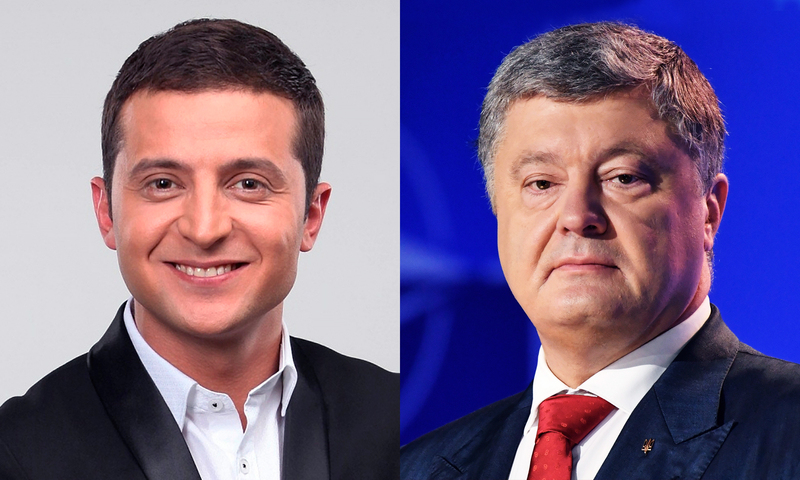 According to the survey, mostly voters supported Volodymyr Zelensky in the east (42,5%) and south (39,5%) of Ukraine. He was least supported in the western regions (21,8%). Current president Poroshenko was mainly supported in Kyiv (28,5%) and in the west of Ukraine (27,2%). Yulia Tymoshenko occupies the third place with 13,7% votes. The western regions supported her the most (18%). The fourth place is occupied by Yury Boyko with 10%. He has the highest support in Donbas (38,8%) and in the south of Ukraine (19,9%). The other candidates have such results: Anatoly Hrytsenko – 7,4%, Ihor Smeshko – 6,6%, Oleh Lyashko – 4,2%, Oleksandr Vilkul – 3,3%, Ruslan Koshulynsky – 2,0%, Oleksandr Shevchenko – 0,5%.